Do you love Ubuntu, but prefer Gnome Shell to Unity? You’re not alone, but you’re also in luck. Ubuntu 11.10 Ubuntu 11.10 Oneiric Ocelot Is Out Now With New Default Programs [Linux] Ubuntu 11.10 Oneiric Ocelot Is Out Now With New Default Programs [Linux] It's here! With a multitude of user interface improvements and a few new default programs, Ubuntu 11.10 keeps the premiere Linux distro moving forward. Whether you're a long time Ubuntu user or a Windows/Mac user... Read More makes it easy to install Gnome Shell. 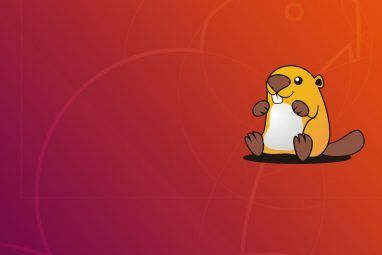 Not liking where Gnome was heading, the Ubuntu team decided to build Gnome into a desktop of their own devising – Unity. This makes use of, and would not be possible without, the efforts of the Gnome team. Simply put, Unity is a different interface, or shell, for Gnome. It’s by no means the only one, however. The default shell for Gnome is called, fittingly enough, Gnome Shell GNOME 3 Beta - Welcome To Your New Linux Desktop GNOME 3 Beta - Welcome To Your New Linux Desktop Read More . Meant to replace the old, beloved Gnome 2 desktop, Gnome Shell is a step forward for Gnome in many ways. Gnome Shell, like Unity, is not lacking for detractors. 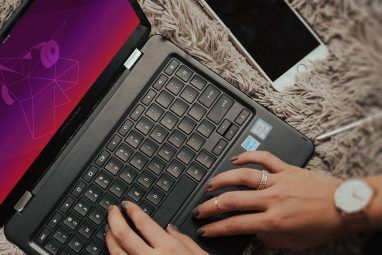 Many people would prefer to return to the classic Gnome desktop altogether, and are switching to systems like Linux Mint in order to do so. This is only temporary. 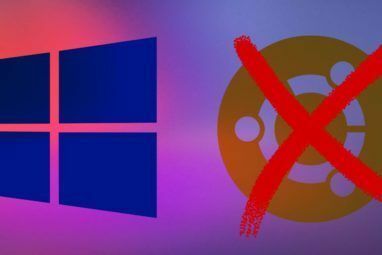 All major Linux distributions will almost certainly be using either Gnome Shell or Unity for their Gnome offerings at some point in the near future. That’s why it’s essential to get used to one desktop or the other. Want to try out Gnome Shell in Ubuntu? If you’re running 11.10, it’s easy. That command will use apt-get to install Gnome Shell and its dependencies. The download isn’t huge, because most of Gnome is built into Unity. Once it’s installed, nothing will happen. You’ll need to log into your new desktop environment to see what you just did. Pick “Gnome” as your desktop, then type your password as usual. You’re now using Gnome Shell! Read more about Gnome Shell GNOME 3 Beta - Welcome To Your New Linux Desktop GNOME 3 Beta - Welcome To Your New Linux Desktop Read More to see what this system can do. Everything might look ugly at first. Unity’s default theme Ambiance does not integrate well with Gnome Shell. Be sure to check out the top 5 Gnome Shell Themes Top 5 Gnome Shell Themes For You To Install [Linux] Top 5 Gnome Shell Themes For You To Install [Linux] Even since before Gnome Shell's official release, people have been hard at work creating some interesting themes for the new desktop environment. Changing themes in Gnome Shell isn't hard thanks to some nice configuration tools... Read More for something better, or simply switch themes to Adwaita for the default Gnome Shell experience. There are obvious differences between Gnome Shell and Unity, of course. Virtual Desktops are created only as windows are added to them, and the “menu” brings up open programs before letting you open new ones. Which shell is better, I think, is a matter of preference. Try both out to really get a feel for what fits better into your workflow. Trying out new desktop environments is a big part of what makes Linux fun; it’s like exploring an entirely new system. Enjoy exploring, and do so with an open mind. You will notice two other entries in your login screen options: “Gnome Classic” and “Gnome Classic (no effects)“. Both of these desktops resemble the old Gnome 2 desktop, but are also different in many ways. Feel free to try these out if you miss the old Gnome 2 desktop, but know they are harder to customize than you may perhaps be used to. Open source is about choice. That’s why I like seeing easy access to Gnome Shell included in Ubuntu. I’ve come to love using Unity as my default desktop, but for those disappointed with the direction of Unity this is a simple way to access an alternative. What do you prefer – Gnome Shell or Unity? Let us know in the comments below, along with any Gnome Shell hacks you might know of. I definitely prefer Gnome Shell, I can find everything I need real fast, plus, it's a bit cool just pressing Super, typing some letters of the application's name, and having it load with cool transition effects. Even on windows I sometimes catch myself pressing Super and typing, although it's waaay slower. I can't imagine how people managed before Gnome 3.0. A lot of people used programs to get similar function, but yeah...this is a nice feature. Unity looks very nice, but there are a couple of problems with it that are turning out to be very disruptive to my work. By far the most serious one is the broken multiple workspaces paradigm. Before Unity, the Alt-Tab window switcher would only show and give access to the windows on the current desktop. This isolation of work was the whole point of multiple desktops. With Unity, all Windows are shown and accessible, which is very distracting when you have a lot of unrelated stuff open. Especially when most of the open windows are Terminals, since it is very hard to tell what you are looking at from the icon. This change effectively makes multiple desktops useless, and it is very puzzling to me why this behavior is not only a default, but also not a configurable default. Yes, I know that there is a setting that prioritizes the window on the current Desktop, but it feels like a crutch rather than the much simpler functionality I would prefer, and it doesn't solve the next problem. I tried running Gnome Shell and Classic, but neither of these seem to have functional Compiz setup, which I don't want to lose, since I really like the scroll wheel zoom feature. This is mainly what's forcing me to use Unity. I guess I can revert to 10.10 temporarily and run VMs to decide what I will change to. I would recommend everyone looks thoroughly at their options before they upgrade! Don't really like Unity or Gnome 3, but if I must choose I'll go for Unity because Gnome 3 don't run on ATI card. But, I already fall in love to Openbox+AWN so Unity & Gnome 3 are not my preference. Darned kids are all about style and not substance. I hate the way things are dumbing down. They destroyed KDE and now they've destroyed Gnome. I love customizing my desktop. In Gnome 2 I had custom icons, cursors, fonts, docks, etc. I especially loved running Compiz Fusion with Emerald window frames. Almost every aspect of customization is broken, not installed by default, or a research project with Unity. I looked up this post to install the new Gnome shell and hope it's easier to work with. I'm glad that I installed Ubuntu 11.10 in a new partition and left my 10.10 intact. Perhaps in time this new platform will mature into something more workable again. I used to love customizing my desktop, but with Unity now I don't have to. It's what I've been trying to build myself all along. I can see why others are frustrated, though, but am sure the customization will come along later. I like GnomeShell better because from my observations it consumes less memory and is very responsive than Unity. I will be anticipating more from Gnome now. I like neither, maybe when they're more developed(ie: customizable) I'll try them. Right now they just get in my way when I try to get something done. What's getting in your way, if you don't mind me asking? Alternatively you could install ubuntu-11.10-desktop-i386-gnomeshell-remix.iso which has had all Unity stuff removed by Jan Hoffman. Yep, that's another option if you haven't installed anything yet. I don't understand what ergonomics issues people keep having. Now that I'm used to it, I hate myself every time I try to jam my mouse into the top left corner while I'm on my Windows partition. I still like Unity better than anything else, including my Mac's OS X interface. I've never had that problem with Unity; I feel like I'm going crazy sometimes! Anyway, I agree: testing new stuff is a lot of fun. I'm not a geek by any means but have been using Ubuntu since 9.4. When Unity arrived I was happy using it but missed the quick keyboard shortcuts etc. I recently changed to Gnome Shell and prefer it. I can hit the "Super" button and type the first few letters of an application, folder etc and it fires up. The Workspaces are easier to use as well. I would say however my wife prefers Unity and found it much easier to use when it was launched. As you said "it's a matter of preference". I can't wait to see how both projects evolve.